If you’ve recently switched to Mac from Windows, you’ll no doubt have wondered if there’s a Ctrl-Alt-Del equivalent for Mac. The answer is yes. And no. How to press Ctrl Alt Delete on a Mac? 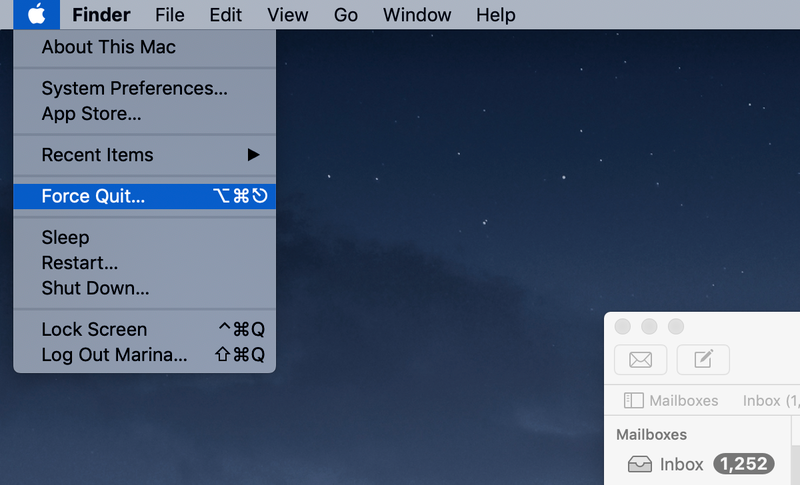 There’s no exact keyboard shortcut that performs the same task as Ctrl+Alt+Delete does on Windows, but you can achieve the same results on Mac, using different commands. 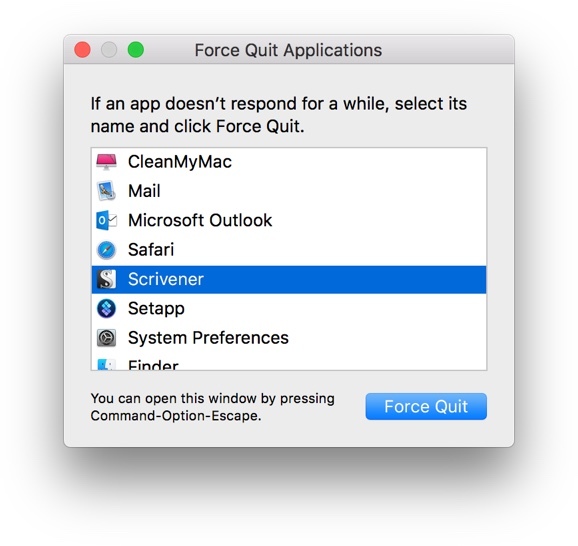 Press ⌘+Option+Esc and you’ll bring up the Force Quit dialog box. This can be used at any time but, given that you can quit any app by making it active and pressing ⌘+Q, the only time you’ll need it is when an app stops responding or starts beachballing. The command would still works when the app is in full-screen mode. Once you’ve called up the dialog box, you’ll see a list of currently running apps. Usually the one that’s causing a problem will be labelled as not responding. Select the non-responding app and press Force Quit. 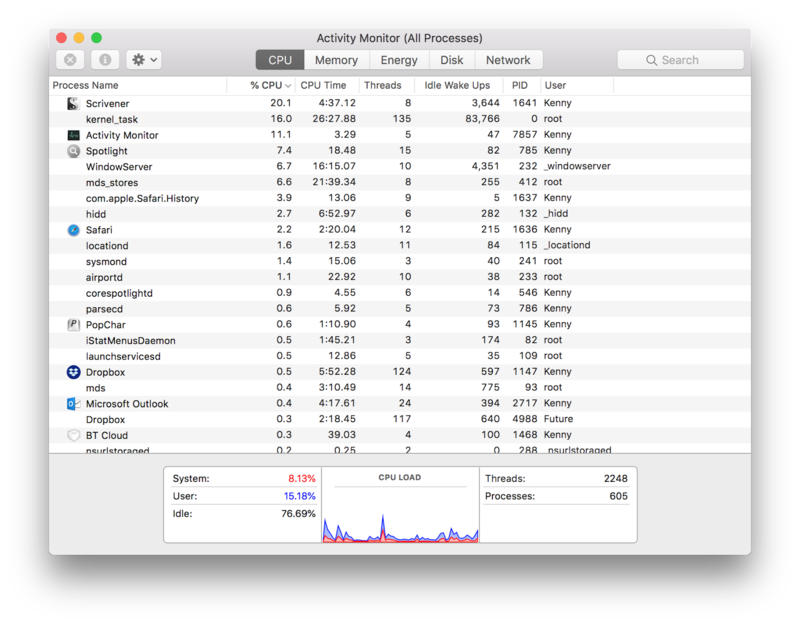 Tip: If apps regularly become unresponsive or start hogging processor cycles, iStat Menus can help get to the bottom of what’s causing the problem. It will show you which apps are using most CPU cycles. And if you need more information, you can launch Activity Monitor directly from the iStat Menus app. How to force close on a Mac? There are a couple of other ways to unfreeze app on Mac. Dock. 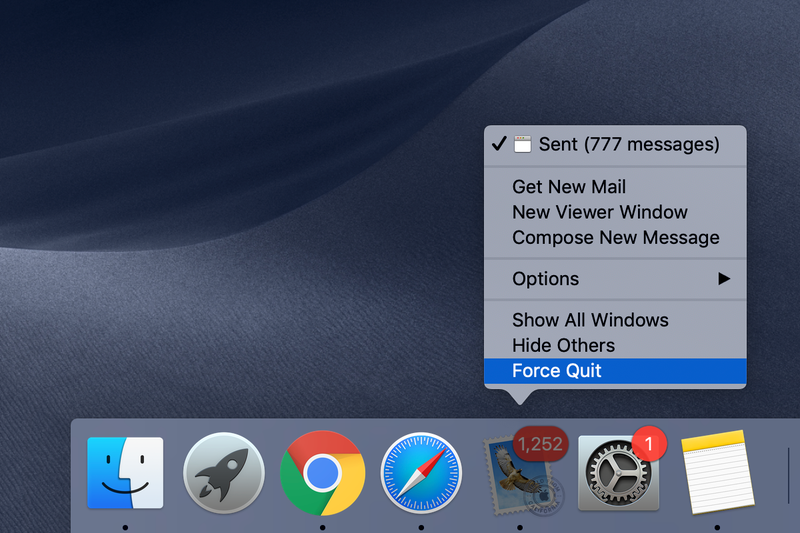 If you hold down the Control and Option keys, and click on an app’s icon in the Dock, you’ll see Force Quit listed as an option in the menu that pops up. Select it and the app should force quit. Activity Monitor. You can double-click on any application in the Activity Monitor to bring up a separate window with more information about it and the Quit option to close it. Apple Menu. The third way to do the equivalent of control alt delete on a Mac keyboard is to click on the Apple menu and select Force Quit. This will bring up the Force Quit dialog box and you can select the unresponsive app from there. What do you do when Force Quit doesn't work? Sometimes it’s not just one app that’s unresponsive. What to do when your Mac freezes? How do you start Task Manager on a Mac? Unlike Windows macOS doesn't use the typical Ctrl-Alt-Delete shortcut to choose frozen programs to Force Quit. 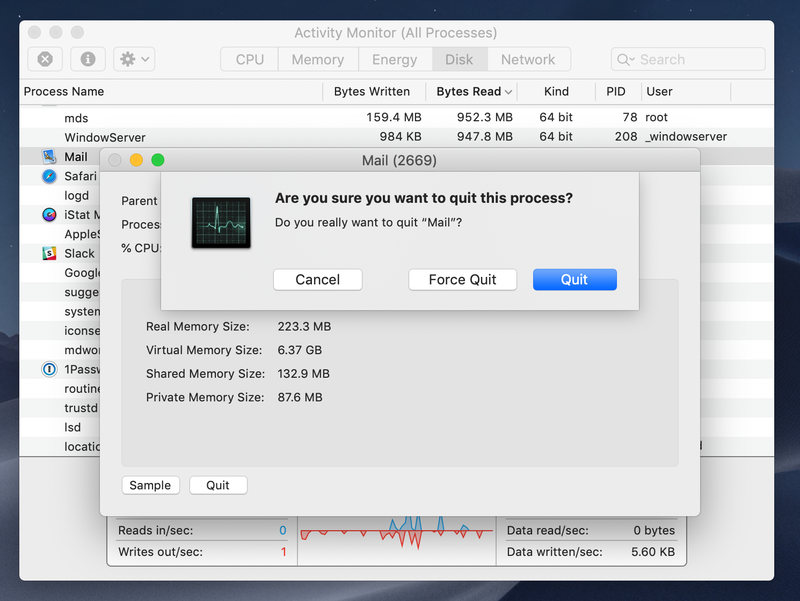 If you have a frozen Mac that won’t do anything and you can’t use any of the methods above to force quit (tip: you can force quit the Finder if it’s misbehaving — it’s just an app), you need to force it to restart. Hold down Command and Control and press the power button to restart it. If you have a MacBook Pro with a Touch Bar, that won’t work. You’ll need to force it to shutdown and then start it normally. You do that by holding down the power button for five seconds. Your Mac will then forcibly shut down. You can restart your Mac again by waiting a few seconds and pressing the power button. If your Mac is running slowly, but all your apps are still working, or if the fans seem to run more often than normal or are louder than usual, there may be a process hogging CPU cycles. Seems it the good time to start Task Manager on a Mac. You can use Activity Monitor to discover the culprit. Launch Activity Monitor from the Utilities folder in your Applications folder and click the CPU tab. Make sure the arrow next to CPU% is pointing down. If not, click it. If there are any apps or processes using up significant CPU cycles (more than half), they may have a problem. You can quit them by selecting the app or process (it could be a Safari tab) and pressing the X in the toolbar. All in all, there is no direct equivalent of pressing Ctrl+Alt+Delete on a Mac but by using a combination of the Force Quit function and Activity Monitor tool you can actually achieve a more informed result. And if you’d like to have even more control over your Mac, use iStat Menus to get all the up-to-date information. You can download and try iStat Menus for free from Setapp and see what’s slowing down your Mac right now.